Parkland Lutheran School is a Classical Christian School for students beginning with Pre-Kindergarten through the 8th grade. We partner with Evergreen Lutheran High School for grades 9-12. Classical Education is an approach to education that says every subject has building blocks which must be known to understand the subject (its Grammar). Once we learn these we learn how they work together (its Logic), and then we learn how to explain it to someone else (Rhetoric). The goal our teachers is to guide students through these parts and teach these areas when appropriate. Our Pre-Kindergarten Program is for mature 4 year olds and 5 year-olds not quite ready for kindergarten. We recommend boys to be 4 by April. The class meets for a half day, five days a week. Our Christian Education Program provides challenging experiences meeting the spiritual, social, intellectual, emotional, and physical needs of the students. Our Kindergarten Program is for five years olds on or before August 31st. 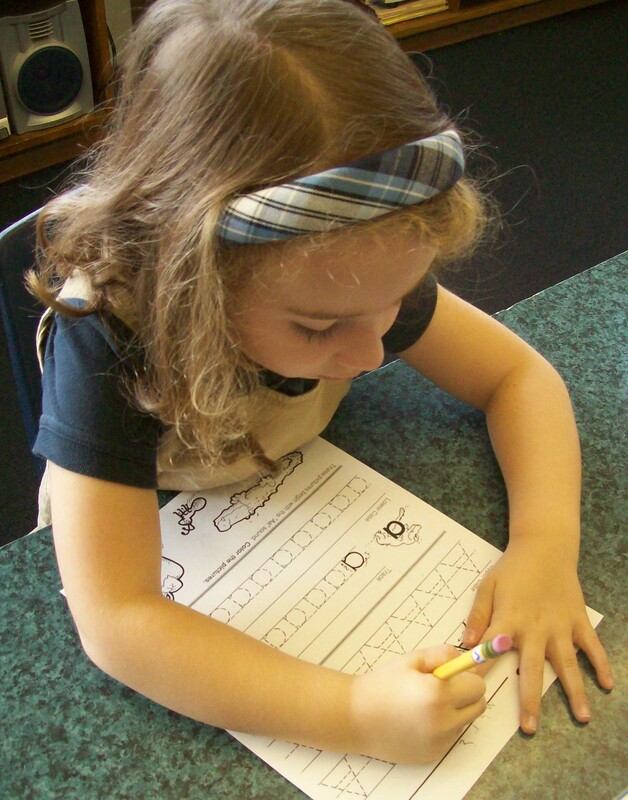 Students in this program will take a readiness test for admission to Kindergarten. Our Kindergarten program is available to full day students and half day students. The morning session of Kindergarten covers core curriculum material for this age level, and in the afternoon session students experience thematic learning, integrated with whole language and cooperative learning. During the early childhood ages (PreK-2) we especially focus on the Grammar of subjects, introducing students to the building blocks of education. In language we learn letters, sounds and how to read, in math it is beginning to count and learn math facts. We do simple experiments in science to see cause and effect, and in history we learn some key events as well as things like the Pledge of Allegiance. The overall goal of our Pre-Kindergarten & Kindergarten Program is not only to increase educational learning in these ages, but to lead the children to Christ. We do this by showing them their sin, but also reassure them of their Savior. It helps them to live with their playmates in a God-pleasing manner, to grow in social living, to adjust to life situations outside the home as well as the school, and to feel a secure and happy relationship with family and classmates. Please call or stop by to inquire more about our Early Childhood education at Parkland Lutheran. Thursday, February 28th from 9:00-10:30 a.m.
Friday, March 1st from 9:00-10:30 a.m.
You are welcome to come by anytime to check out our programs!